On May 24th, 2017, Florida Governor Rick Scott created major political waves when he vetoed Senate Bill 106. This was a controversial piece of legislation that would have removed Florida’s ‘liquor wall’, a colloquial name for a prohibition-era law that puts heavy restrictions on when and where hard liquor can be sold within the state. As was reported by the Miami Herald, Governor Scott vetoed the legislation over concerns that repeal would have an adverse effect on many small businesses across the state, and thus damage Florida’s economy. This business regulation bill was highly controversial; passed through the Florida state senate by a narrow margin, and it passed through the Florida house by a single vote, 58 to 57. The bill had strong support from many large retailers and related interest groups. Indeed, prominent chains such as Wal-Mart and Costco were big supporters of the legislation. On the other hand, the liquor wall repeal was fiercely opposed by a collection of independent, small liquor stores. Public data indicates that both sides made substantial political contributions to both major political parties. Under current Florida law, liquor cannot be sold in the same facility that most retail goods are sold. In effect, this means that retailers cannot sell hard liquor. As many retailers have grocery departments, they view this as lost revenue. The law would have largely removed that legal restriction, and had Governor Scott signed the bill into law, large chains would have been able to stock and sell hard alcohol. At first, the total amount that could have been sold at stores like Wal-Mart and Target would have been somewhat limited, but after four years, those retail locations would have been largely given free reign over hard liquor sales. What Happens to the Legislation Now? Theoretically, the Florida legislature could override Governor Scott’s veto. However, a supermajority (meaning a two-thirds majority) would be needed to get the bill put into law. Considering how narrowly the bill passed in the first place, a veto override is simply not realistic. Thus, this specific legislation will likely die. Of course, that does not mean that supporters of this business law reform will necessarily give up. Perhaps a different bill will be submitted that will ease some of Governor Scott’s concerns regarding the impact on small liquor stores. Ultimately, interested businesses should keep a watch on future legislative sessions. As with all business legislation and regulations, our firm will be monitoring for any new developments so that we can stay up to date on all aspects of Florida business law. 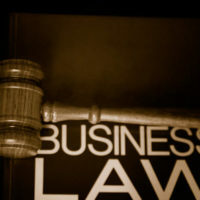 Do You Need Business Law Assistance? We can help. At Pike & Lustig, LLP, our business law attorneys provide high quality legal representation to companies throughout South Florida. To learn more about what our team can do for your business, please call our West Palm Beach office today at 561-291-8298 or our Miami office at 305-697-9799. Initial legal consultations are always free of charge. We look forward to assisting your company.